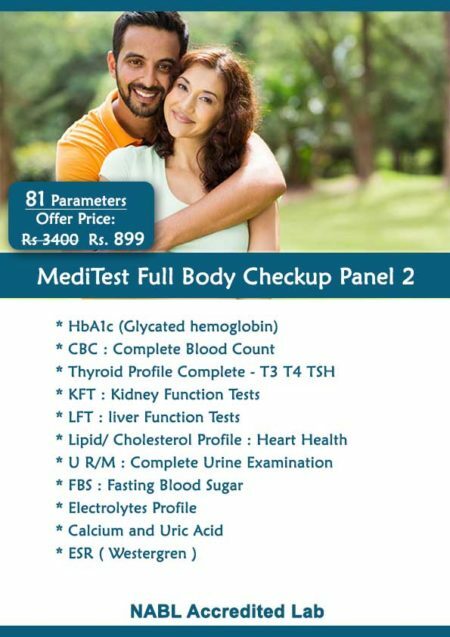 This Package includes a comprehensive check of all systems, including evaluation of cardiac systems, diabetes, liver function, Whole Thyroid profile along with CBC, ESR, Electrolytes, Urine Routine & Microscopic. It gives a detailed assessment of the health status of an individual and is strongly recommended for all individuals having pre-existing illnesses like blood pressure, diabetes, or any other chronic illnesses. Life Is Priceless ! Why take a chance ? 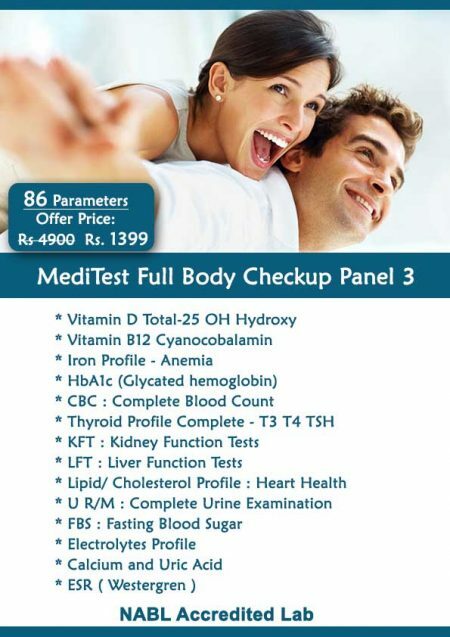 Book Your Full Body Health checkup now ! Diseases are many, treatments are few. It is thus advisable to get an early detection of diseases in order to know the symptoms and to treat them in time. 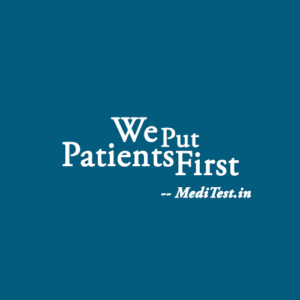 MediTest is providing best full body checkup offers in whole Delhi NCR region. 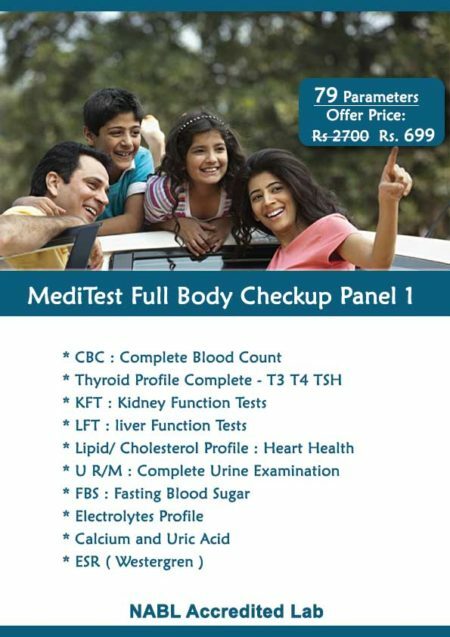 Screening of Major Organs should be included in full body checkup like: Kidney Function Tests, Liver Function Tests, Lipid Profile also know as cholesterol profile, Whole Thyroid profile T3 T4 TSH along with CBC, ESR, Electrolytes, Diabetes and Urine Routine & Microscopic. NABL Accredited, Full automated, completely barcoded Lab. Free Home Sample collection through highly experienced phelebotomists. You can also add other tests which includes vitamin D, vitamin B12, Iron profile with TIBC, HbA1c along with all above tests.